If you have ever been out fishing and caught a monster fish only to lose it because your reel jammed or broke, you will understand why many anglers spend money on quality reels for fishing. In order to protect this investment, The Rod Glove offers the best protection on the market with The Reel Gloves. Made from neoprene with a velcro hook and loop closure for easy adjustment, The Reel Glove is available for both standard size spinning and bait caster reels. With the expense of some of the high quality reels, the time it takes to cover the reel with The Reel Glove saves the reel from getting broken. Small enough to fit into your tackle bag or a compartment when not in use, these reel covers protect your reels when travelling or when they are in the rod locker on your boat. With so much bouncing around, the Reel Gloves keep them protected. 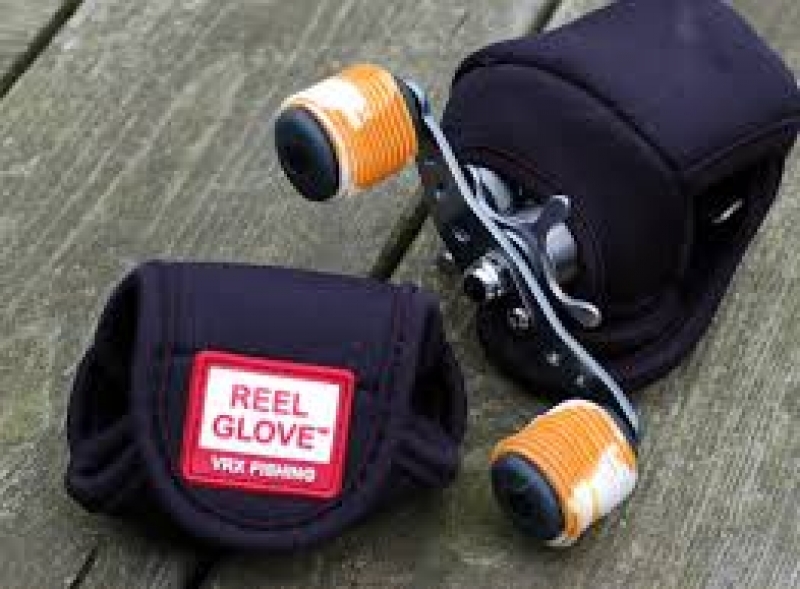 Protect your reels from rain, UV rays and corrosion by covering them with a Reel Glove. If you haven't seen the products, take a look at this quick video by our retailer Tackle Warehouse. Written by Shelley Langley, the opinions and expressions are of the author's.